Leverage on our years of modern infrastructure unit, we are offering the best quality Rubber Plug in Pune, Maharashtra, India. Our professionals use advanced machines and techniques to design these rubber plugs. Our organization has crafted a specific stature in the market by presenting an exceptional grade array of rubber plugs to our customers. Designed with the use of premium quality original materials and advanced techniques, these proposed plugs are highly demanded. Overall, they are available with us in various sizes and specifications to match these changing needs and requirements. 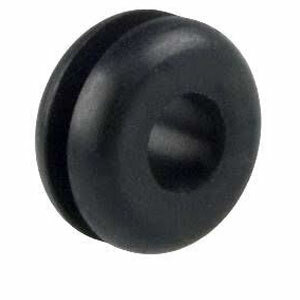 We are the leading organization in the market to offer the best quality range of Rubber Plug. We are famous as a best Rubber Plug manufacturer and supplier in Pune, Maharashtra, India. We are able to achieve the vast base of prestigious customers in the national market by presenting an exceptional quality of rubber plugs.